Generally speaking, there are three types of smartphones available in the market: the entry-level, the mid-range and of course… the high-end model commonly known as “flagship”. If you are willing to fork out a huge amount of money (or swipe your credit card), here are the 8 current high-end smartphones you can look for. Despite all the massive hype about the (super expensive) iPhone X in late 2017, the overall sales weren’t encouraging and Apple even considered to discontinue the model this year. Which is why we chose to focus on both the iPhone 8 and 8 Plus instead. The phone design is similar to iPhone 7, except that it comes with a glass back this time round, which is said to be the “most durable” one ever constructed. 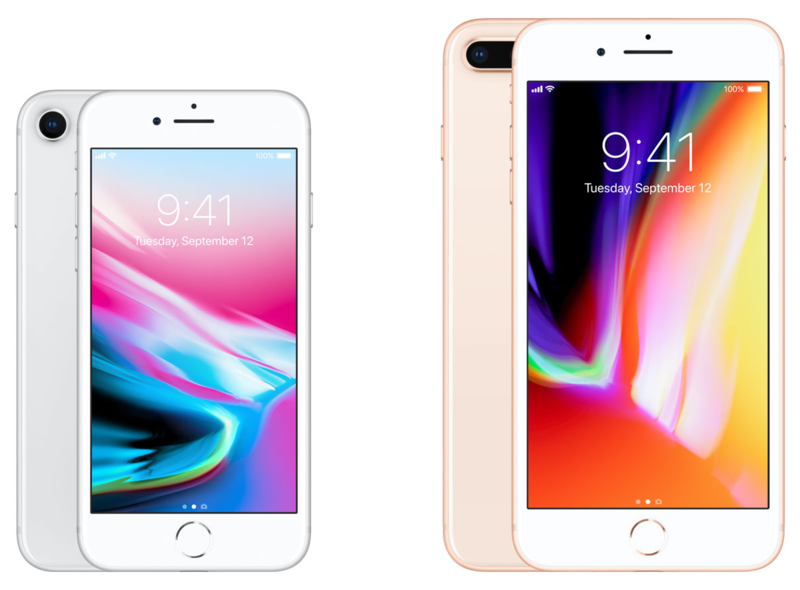 The iPhone 8 features a 4.7″ display, ideal for those with smaller hands while the iPhone 8 Plus comes with a larger 5.5″ screen. As for the camera, the iPhone 8 packs a single 12MP wide-angle sensor while the iPhone 8 Plus boasts a more eye-catching dual-lens rear camera, including a 12MP telephoto lens with f/2.8 aperture. Both iPhone 8 models come with either 64GB or 256GB storage options. 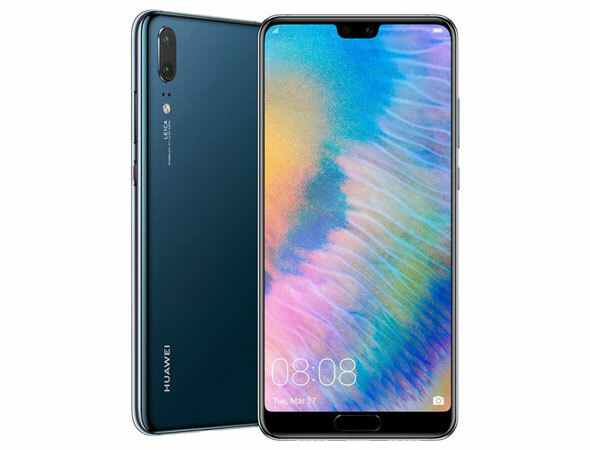 The Chinese smartphone giant has released two flagship models back in April this year: the Huawei P20 and its more expensive sibling, the P20 Pro. But let’s talk about the P20 first. It boasts a stunning build quality, mixing dual-glass case with a polished metal finish — all beautifully curved on four sides. The P20 sports a bezel-less 5.8″ display, using LCD IPS panel that is both vivid and bright enough for the eyes. It runs a powerful octa-core Kirin 970 processor with 4GB of RAM and 128GB of internal storage (which is ample enough, if you ask us). But the real deal here is the nifty dual-camera setup powered by Leica lenses, which includes a 12MP f/1.8 main camera and a secondary 20MP f/1.6 monochrome sensor for crisp images, even in low light. If that’s not enough, the P20 is even equipped with a 24MP front selfie camera. The battery life is equally above-average, thanks to its larger 3,400mAh battery that can last at least a day on a typically heavy usage. If photography is what matters to you the most, then you might want to consider the Huawei P20 Pro. The highlight of this flagship model is no doubt the triple camera setup, which also happens to be the first of its kind. Get this: a 40MP f/1.8 telephoto sensor, a 20MP f/1.6 monochrome sensor and an 8MP f/2.4 image sensor — all wonderfully integrated by Leica lenses where each plays their significant role for delivering the best detail-oriented images possible. The P20 Pro also packs an even larger battery at 4000mAh, which is 600mAh more than the P20 model. Not to mention its bigger screen, which is blessed with an impressive 6.1″ high-resolution 1080 x 2224 AMOLED display. Of all the high-end smartphones in this list, the Shenzhen-based OnePlus seems like the least popular option here. But their new OnePlus 6 is no slouch whatsoever. Let’s see: the phone packs a lightning-fast Snapdragon 845 processor, a stunning 6.28″ edge-to-edge OLED display and optional 6/8GB as well as 64/128/256GB of internal storage. If speed is what you’re looking for, the OnePlus 6 should be your next buying list. The flagship model of Samsung Galaxy S9 has everything you need for a high-end smartphone: a speedy Exynos 9810 processor, a vivid 5.8″ AMOLED Quad HD+ display and a dual-camera setup that has both f/1.5 and f/2.4 apertures for capturing images in different light conditions. Always frustrated to get a good shot in a dimly-lit cafe? With the phone’s f/1.5 aperture, you can now capture the best low-light photos possible. But the biggest selling point here is the S9’s much-publicised 960 FPS “super slow motion” recording. It is no doubt a cool feature that let you take 0.2 seconds of slo-mo recording (water effect would be a great way to start your experiment!). Then, there’s the Samsung’s very own AR Emoji that allows you to create your own animated self. You can even change your personal style like hair, clothes and skin tone. With the S9 Plus’ larger-than-usual 6.2″ display, you can bet that watching YouTube and video on a crisp AMOLED Quad HD+ “infinity” screen will never be the same. The phone features the same S9’s dual-aperture camera functions but added with a second 12MP camera that has a 2x optical zoom, allowing you to get a closer shot of your subject. Like its S9 counterpart, it also comes with the super slo-mo recording and the fancy AR Emoji app. This recent Sony Xperia model isn’t kidding about proving themselves about presenting their own top-of-the-line premium phone. It boasts the brand’s first dual-camera setup that includes a 19MP f/1.8 Motion Eye™ and a 12MP f/1.6 monochrome sensor. With the Sony Motion Eye™ camera technology, it allows you to shoot 1080p super slow-motion video at 960 frames per second. Taking pictures in extreme low-light conditions are also made possible, thanks to the camera’s higher ISO 51200 sensitivity with the assistance of AUBE™ fusion image signal processor. 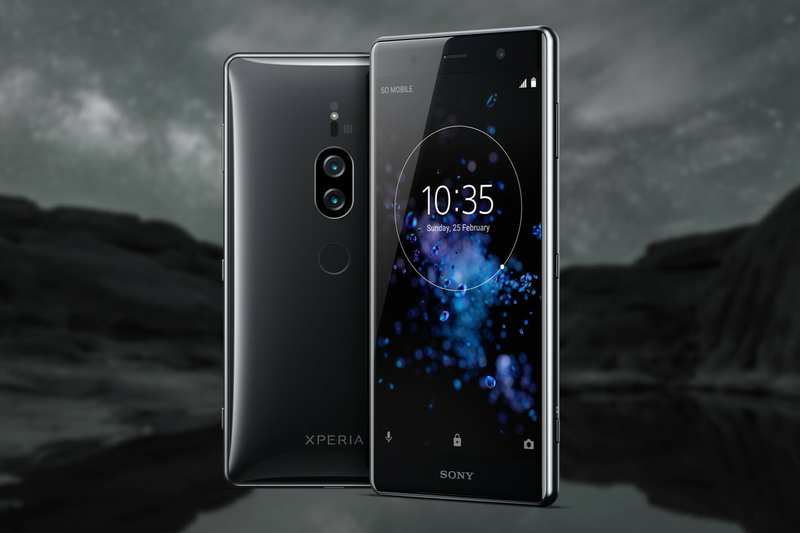 The Xperia XZ2 Premium also boasts the “world’s first 4K HDR movie recording in a smartphone”, another stunning feature that enables you to shoot ultra-crisp footage. Finally, not to be left out of the list of high-end smartphones is Xiaomi Mi Mix 2S. This flagship model features a premium-looking ceramic unibody design with an aluminium frame. Not to mention the phone’s bezel-less 5.99″ full-screen IPS display on 2160 x 1080 screen resolution. Performance-wise, Xiaomi Mi Mix 2S is powered by a snappy Qualcomm Snapdragon 845 processor. It packs a 6GB of RAM and an optional internal storage of 64GB or 128GB under the hood. Another notable feature here is the 12MP dual rear cameras with both wide-angle and telephoto lens capabilities. The phone also includes a 5MP front-facing shooter, which is ideal for selfies.